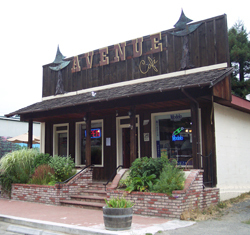 The Avenue Cafe, long famous for its calzones and pizzas, is located in the picturesque town of Miranda, on the spectacular Avenue of the Giants. Eat inside, sit at the bar, or dine alfresco on the patio. 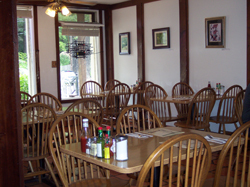 Great food in a friendly atmosphere, it's a wonderful place to relax and eat as you travel through the giant, old-growth redwood forest. 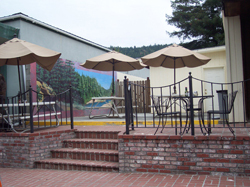 Local microbrews on tap and mouthwatering daily specials, make the Avenue Cafe a stop to remember on a beautiful drive which you'll never forget.